Football is like a religion in the US, and it is the most popular sport in America by far. Even though professional football is the preferred choice for many fans out there, college football is not trailing behind. Matter of fact, college football is more popular than other sports and their major professional leagues! 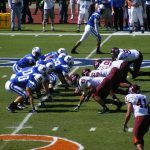 However, college students would rather choose a college with an excellent football team and a great reputation and history of producing great NFL players. With that said, let’s take a closer look at some of America’s best football colleges. Ohio State Buckeyes are known for their long history that dates back to 1890. Ohio’s State University has 37 conference and 8 national titles under its belt and can boast with 10 undefeated seasons. On game day, Ohio Stadium, also known as The Horseshoe, is painted scarlet and gray, in the colors of the team. 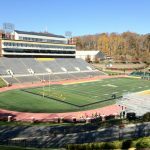 The place seats more than 104,000 spectators and offers one of the wildest atmospheres when it comes to college football. So far, Ohio State University has produced many NFL players, and we are sure there will be a lot more to come. 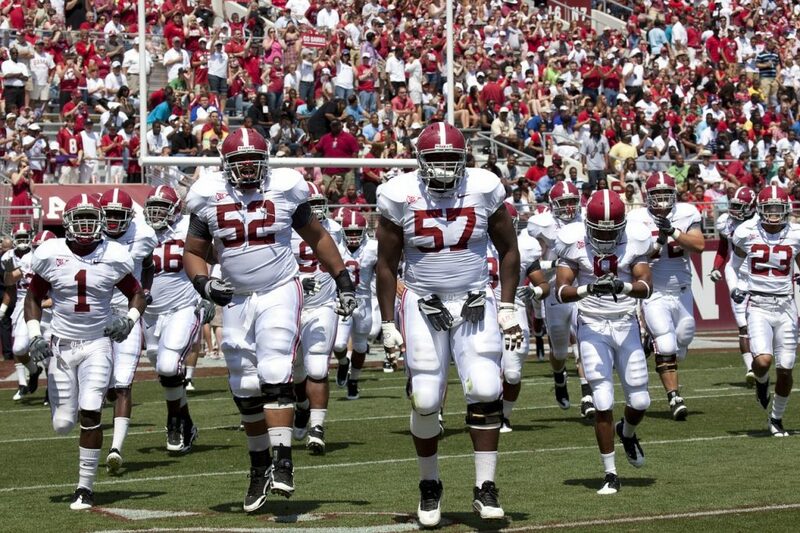 Nick Saban coaches Alabama Crimson Tide that play their games at Bryant-Denny Stadium which seats 101,000 fans. 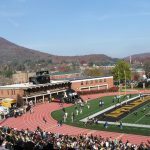 When packed, it is one of the loudest stadiums out there, especially if the Crimson Tide is facing off against Auburn Tigers or the LSU Tigers, their fiercest rivals. It comes as no surprise that the team wears crimson and white as team colors. So far, they have won 29 conference titles, as well as 16 national titles. The University of Notre Dame has one of the oldest and most-renowned football teams in the country. After their first game in 1887, they have quickly raised their reputation with a long history of victory. The team has a total of 13 national championship titles under their belt and has produced more than 450 NFL players so far. The Fighting Irish are characterized by their green and gold outfits, as well as the Notre Dame Leprechaun that is their mascot. Their stadium provides seats for more than 80,000 fans, and their rivals are the Michigan State Spartans and the USC Trojans. LA, California is home to USC Trojans, one of the best teams in America. They play in the Pac-12 Conference and have produced almost 500 NFL players. Their uniforms are colored cardinal and gold, and they are known as a team that has had most of their players inducted to the Hall of Fame later in their career. Trojans play their games on the Los Angeles Memorial Coliseum which hosts 93,000 fans. Prev How Old Is Too Old for the NFL?